VaasaETT's team consists of leading international and local specialists, including both internal and associate experts. We also have a massive network of expert contacts that we know personally through over 17 years of research, collaboration and partnership, travelling the globe in search of the people who know. Whatever you want to know, wherever you want to know it from, we probably know someone, somewhere who will have the answer. The VaasaETT knowledge network consequently enables VaasaETT to offer its clients outstanding market monitoring, best practice, benchmarking, and case study identification, in addition to simply enabling us to learn from what the world has to offer. And because of the trusted, collaborative, knowledge sharing relationship we have with our network, we are able to obtain information that others cannot. Dr Lewis is recognised as a world-leading expert in customer centric behavioural, competitive and smart issues in the global energy market. He has analysed energy customer behaviour in more markets for longer than any other expert. Over 60 markets (40+ liberalised) markets spanning 18 years, for hundreds of organisations, A member of the World Economic Forum Global Agenda Council on the Future of Electricity 2014-2016. Co-founder and board member of the Smart Energy Demand Coalition (SEDC). Named among top 40 most influential people in Smart Grid 2014 and among 11 Global Smart Energy Elites 2015 by Metering and Smart Energy 2015. Author of the world’s leading resource on customer switching trends (World Energy Retail Market Rankings) and the original source of Europe's definition of switching. Former editorial board member of the European ‘Energy Efficiency’ Journal; faculty member for the Diploma of Advanced Studies programme in Renewable Energy Management at the University of St Gallen Executive School, Switzerland; and a committee member of European Utility Week. Formerly on various industry committees such the ‘WWF (European Policy Office) Green Power Partnership Advisory Committee'. Head of marketing research and analysis for the UK based retailing subsidiary of Amoco (BP) and Seeboard (EDF) during the onset of competition in the British retail energy market. Holds a PhD in Marketing from the University of Edinburgh (specialising in customer psychology and behaviour issues). Thomas N. Mikkelsen is the Director, Consulting for VaasaETT on the FP7 project ADVANCED. He has more than ten years of managerial experience as a Head of Department, Senior Manager and as a Marketing Director from the utility sector in Denmark and great international experience ranging from being a member of the SEDC; board member in the Danish Intelligent Energy Alliance, etc. Christophe Dromacque is responsible for VaasaETT’s research activities and a member of the Smart Energy Demand Coalition’s working group on consumer futures. Christophe specialises in the design, deployment, analysis and evaluation of ICT-enabled energy efficiency and demand-side management programmes targeting household consumers. For the past 7 years, he has supported or led numerous projects in Europe, Asia and the UAE. He is currently responsible for designing the evaluation framework of 5 large pilot projects (including the commercial viability and business potential of the services tested) organized by some of Europe’s largest DSOs and energy suppliers as part of H2020 project Flexiciency. Additionally, as part of H2020 project Natconsumers, he is working on the characterization of European households based on socioeconomic, socio-demographic and energy consumption data in order to design personalized feedback and actionable energy efficiency insights for each segment using machine learning and natural language. Leticia David is Senior Energy Market Analyst, specialized in large consumers’ energy strategy. Leticia helps energy customers thrive in the complex, competitive and fast changing energy markets, unlocking opportunities for clients to reduce costs as they secure a reliable supply and engage in reaching sustainability targets. Her main competencies include market analysis, C&I electricity pricing and price drivers, renewable procurement options, demand response and energy policy. Prior to joining VaasaETT, Leticia worked with renewable energy certificates, electricity disclosure, green energy consumption and economics research. She holds Masters degree in Economics from the University of Helsinki and Bachelor degree in the same subject from University of São Paulo. 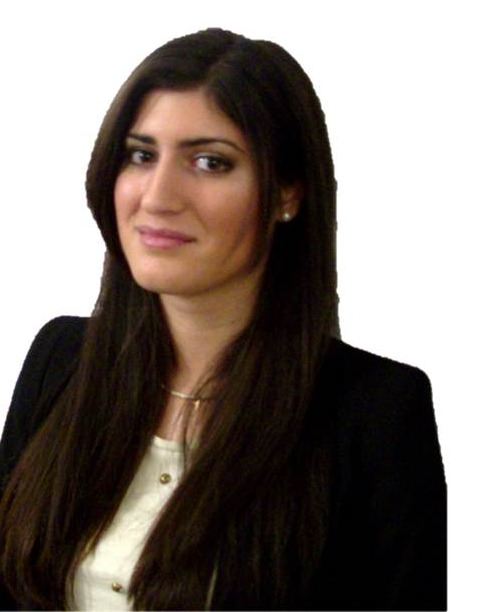 Rafaila’s expertise is in data analysis, natural language processing and machine learning. Since joining VaasaETT she has worked on numerous major research projects (e.g. the EU funded CASSANDRA and e-BADGE projects and projects for clients including the Norwegian Water Resources and Energy Directorate and BEAMA) as a data analysis and evaluation expert. More specifically, her work includes using and/or developing tools for analysing residential and small-scale commercial electricity consumption measurements, in order to extract conclusions related to energy conservation, peak reduction, price optimisation and decision support for demand response programs. Rafaila Grigoriou graduated from the Electrical and Computer Engineering department, Aristotle University of Thessaloniki. Lynda Blakely has over 13 years’ experience in liberalised electricity markets in New Zealand and Australia, and deep expertise in developing and executing strategies to support rapid growth and transformational change through various stages of the organisational lifecycle. In 2004, Lynda was a founding executive of Red Energy, a multi-award winning energy retailer, which experienced unprecedented success through organic growth in the world’s most competitive retail energy market. Lynda’s core strength and experience is in the design of organisational structures, business processes and accountabilities to deliver the capability, agility and customer focus vital to achieving success in highly competitive markets. As a ‘Thought Leader’ in the in the Smart Home/IoT and Energy Management/Smart Grid industry, Morten Bremild draws on more than 15 years of experience as Business Development and Marketing Executive with a strong innovation and strategy skill set. Morten has an Executive MBA from Copenhagen Business School and an HD (Graduate Diploma) Degree in International Business and Economics. With more than a decade’s experience in liberalised electricity markets (New Zealand & Australia), and several years working for IBM, Nigel Broomhall understands how to create value in mature markets. Whilst working for Meridian Energy, Nigel's team created a new energy retailer (Powershop.co.nz), he led the electric vehicle programme, and led the programme that made the Meridian Group carbon neutral. At IBM he was the New Zealand energy industry leader and led numerous client engagements in the areas of smart grid, distributed generation, advanced asset management, and electric vehicles. James' expertise lies in developing and delivering growth strategies, understanding customer needs and insights, and seeing strategies and opportunities implemented in dynamic and challenging environments. He has held senior strategy and growth leadership positions across the Energy, Retail and Financial Services sectors. Most recently he led the corporate and retail strategy areas for Energy Australia. Here, James drove the creation of new business opportunities in emerging technologies such as batteries, embedded networks and competitive metering, prior to EA he worked with firms including Origin Energy and GE. He is currently the Director of Strategy & Market Development with energy technology firm Edge Electrons. Neil Gibbs has over 25 years consulting experience specialising in the utility and energy industries with a focus on business unit strategy, electricity market development, the management of major utility reform programs, organisational change management, and performance improvement. Neil has worked throughout Asia, and in the US and Europe. Christophe Druet is a widely respected thought leader in the areas of electrical power systems, electricity markets, and innovation management. He has worked at Elia since 2001 in various roles, most recently as R&D manager, where he played a lead role in 2 major smart grid projects; DERINT demonstration of TWENTIES and ECOGRID.EU, and in 2013, initiated an internal smart metering project for Elia employees. He holds a degree in electromechanical engineering. A former chairman of the London Electricity Consultative Council and board member of London Electricity, Alex is a highly experienced and renowned expert in the liberalised UK and international electricity and gas industries. Alex Henney is one of the UK’s most accomplished and distinguished experts in the field of energy markets. Mr O’Flaherty is a leading engineering manager and consultant with 19 years worldwide experience in the deployment of Smart Grid solutions across the electric utility industry. He is a recognised expert in the development of innovative and cost effective Smart Grid strategies designed to empower customers, facilitate renewables, defer capital investments, reduce costs, reduce risks, improve reliability, improve safety and improve situational awareness. Duncan Sedgwick now acts as a strategic advisor and Non-Executive Director to a number of clients within the energy sector. These include Engage Consulting, G4S Utility Services, On-Line Direct, UK Public Health Association, VPhase, Airwave Solutions, Age Concern and AMT Sybex. This experience of a classic portfolio career enables him to use his 37 years experience across the range of the sector particularly as it impacts upon the customer experience. Steve Xu is an experienced analyst in the fields of Customer Engagement, Energy Feedback, Dynamic Pricing, Active Demand, Smart Grid, Smart Home, Smart Metering and Renewable Integration. He has strong background in customer engagement, energy market innovation and business model design. Steve has worked for top energy utilities, regulatory organizations and energy technology and service providers, such as the World Energy Council, ADEME (France), Aurora Energy (Australia), BEAMA (Great Britain), Dong Energy (Denmark), EnerjiSA (Turkey), Opower (USA) and the European Union. Steve has been involved in designing residential and small-commercial customer engagement strategies for pilots organized as part of EU funded projects. Steve manages VaasaETT’s world leading databases of smart grid, demand side and renewable integration.